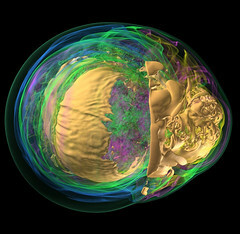 Argonne scientists are working on more efficient techniques to allow computer visualizations of extremely complex phenomena, like this rendering of a supernova. Read the full story here. Uploaded by Argonne National Laboratory on 30 Jul 09, 8.42PM CEST.